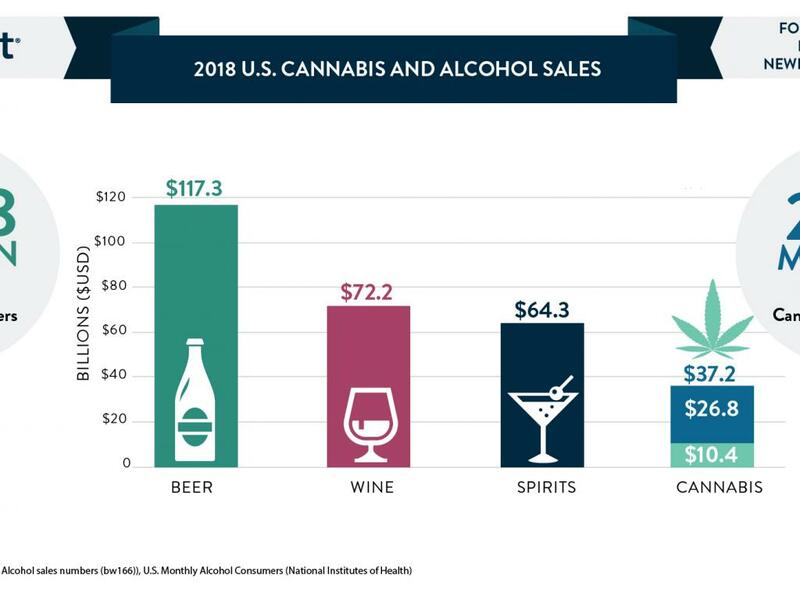 In 2018, U.S. retail alcohol sales totaled $254 billion, nearly 7x overall cannabis sales (both legal and illicit) of $37.2 billion. 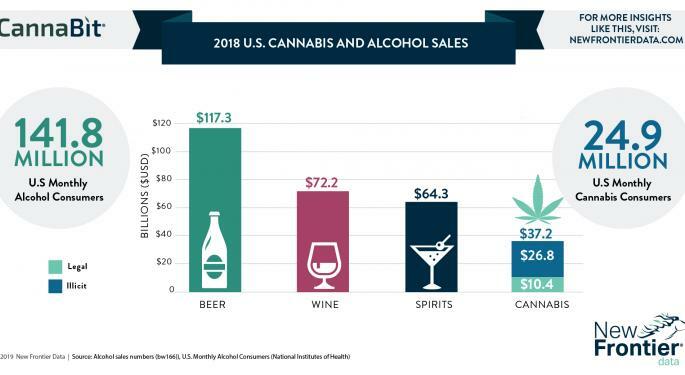 New Frontier Data estimates that overall domestic cannabis sales grew 6.7% in 2018, while alcohol sales meanwhile grew at 5% year over year (source: bw166). In its upcoming white paper, The Nexus of Alcohol and Cannabis, New Frontier Data will provide useful insights into how cannabis consumers use alcohol (i.e., frequency profiles, policy views, and cannibalization analysis): For instance, 50% of high-frequency cannabis users are also high-frequency alcohol users, while cannabis users largely state a preference for cannabis over alcohol. The report also offers key takeaways for cannabis and alcohol business operators, identifying opportunities to attract new consumers, and risks associated with changing patterns by both alcohol and cannabis users.